These are the reviews for Moonlight Cottage. There are 30 reviews. Cottage was excellent and clean and facilities were great.Our only complaint would be that the furniture was very dated. Ideal location for visiting surrounding area.Lovely walks nearby. Bure Valley railway worth a visit , journey. Had a lovely week at this cottage. Has everything you need and was a home from home in terms of the facilities. It was excellent. Cottage was spacious and well appointed. Nice walk to good pubs. Area is beautiful. The cottage was clean and it smelt so nice. It was comfortable and everything we needed was in the cottage. It was in a very nice and quite area. We would consider to book it again if we want to have a holiday around the same area. Excellent facilities. owner made us ver welcome and was very helpful. An excellent place to stay - it was very well presented and equipped to a high standard. Would definitely recommend this property. Also, the owner was always extremely helpful with an excellent manner. Overall "perfect" and a very reasonable price too! A totally hassle free, charming, peaceful, beautiful little place. Would come back in a heart beat. It was just perfect. Thank you! Moonlight Cottage was in a convenient location to visit some of Norfolk we had not visited either before or at least not recently. The accommodation was very comfortable and to be recommended. Very comfortable. Quiet and peaceful. We liked the location and the peace and quiet. The whole cottage was exceptional. We stayed here for a week and had a lovely time. The cottage is very well equipped and has a good layout. The grounds are well cared for and a good size. Although the cottage is down a country lane, which makes it an ideal quiet location, it is only a short drive to the main road with access to the many attractions of Norfolk. We will be returning in the future! Beautifully equipped - secluded location but still within easy reach of village either on foot or by car. The owner of the property was absolutely delightful and very helpful and friendly. We also felt the cottage was a home from home and had everything we needed and could want. I have been to rented cottages before where there have been things broken, missing and if you are cooking instead of going out, the kitchen was unsuitable for cooking anything further than beans on toast! Not so with this property, they'd thought of everything and the homely, welcoming touches like milk and tea / coffee were very gratefully received after a long M25 on a Friday night journey! We were very sorry to leave. 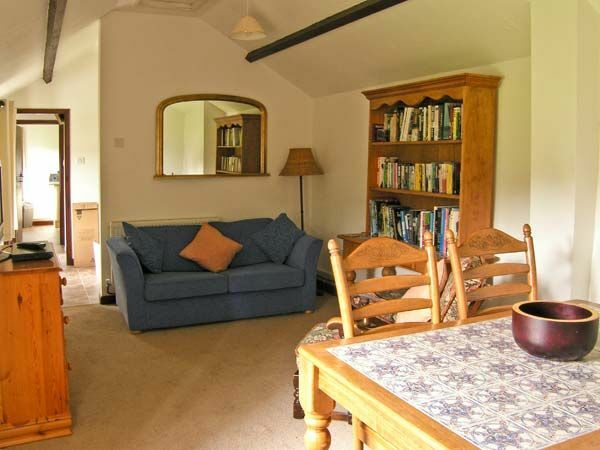 The Cottage was very peaceful and suited to our needs, the location was excellent. Very convenient for our needs. 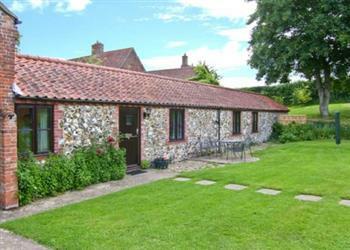 Close to Norwich, and ideal if wishing to avail yourself of the coast and countryside. Very nice location with great walks nearby. Accommodation was warm and the bed was very comfortable. Very comfortable cottage. Well equipped. Highly recommended. Great setting. Wonderfully quiet and peaceful. It was all good. Lovely cottage, our 3 year old really enjoyed the garden and we were all very comfortable there during our stay. The cottage itself and the surrounding area were both lovely. The cottage had an excellent selection of books and board games, and the kitchen had everything we could possibly need. We enjoyed being at the location and found it easy to visit Norwich and the seaside. There were good pubs nearby and a local shop. If you're looking for other cottages around Moonlight Cottage, we've got some cottages below which may take your liking. There are 73 cottages within 5 miles of Moonlight Cottage - and they have reviews too.